Every Fall, we celebrate culinary traditions from a few of our favorite counties. This week, we’re admiring Scotland – a country known for its amazing landscape but often forgotten about when it comes to its delicious food. 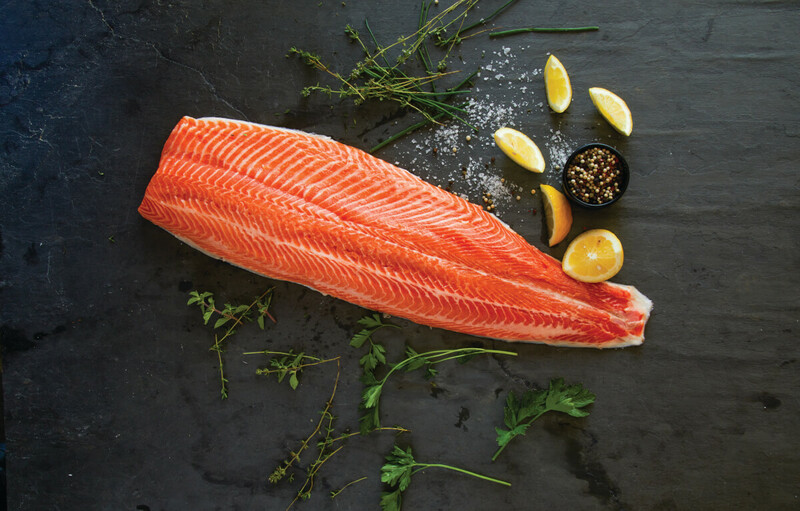 We also have the famed and seafood lover praised Loch Etive Steelhead Trout imported directly from Scotland. You’ve never enjoyed trout quite like this before. It will make for one memorable fish dinner, we assure you. Loch Etive (Loch means “lake” in Scottish, in case you were wondering) is in Northern Argyll on the west coast of Scotland. Loch Etive Steelhead Trout are raised in this very remote, pristine environment with pure waters and fast-flowing currents. High in Omega-3 oils, the sashimi-grade trout is suited for all types of cooked creations – as well as crudo, carpaccio, tartare, and sushi. Loch Etive Steelhead are antibiotic free and all-natural with no growth promoters or hormones and have a GMO-free feed. We’re offering them fully-dressed whole; skin-on, pin bone-in fillets, or trimmed just how you like. For the next two weeks, you could win a free 4-5 lb. fillet of the Etive Steelhead Trout. Simply visit our seafood department and fill out a contest entry slip for your chance to win! I love this promotion – what inspired and creative idea! Went to the Pasdena store yesterday for the first time. What a difference between that location and the others vs Hollywood/Sunset one. Too small. Lacks choices. But it’s closer to me. Anyway, the fish guy said the farm raised salmon from Canada had more omega in it than the trout from Scotland. Both looked amazing. Ended up with the salmon. From what I read on your site about how it’s fished, etc. seems the trout had more. Please advise. Thanks. How long is the trout sale on for. Priced $19.99. Was in Pasadena store yesterday. What a BIG difference in size and choices than the Hollywood/Sunset location that is by me. Anyway, the fish guy said the farmed salmon from Canada had more good omega than the trout from Scotland. TRUE? Please advise. From the above description of how it’s fished, etc seems like the trout should have more. It was on sale for $19.99 but he did not know when it ends. Look forward to a response. Thanks. I’ve eaten Northern California steelhead that I caught myself. I would like to see how these fish from cold Scottish waters taste.